When people buy a new house or remodel their home, they can spend without paying importance to figures when it comes to interior designs if they are wealthy enough. The latest as well as the newest interior decorations trends for 2015 will make a combination of classy and fancy styles with contemporary elements. There are hundreds of thousands of instructive guides and interior designers that can suggest which can be the best home decoration trend for your house. Styles come and go in home décor, but some elements remain irreplaceable and two of them are wall art and carpets. There are persons who think that less is more and decide to find a rare and precious Persian carpet and hang it in the wall thus making a combination of art and décor. Generally Persian handmade carpets and rugs are highly desirable craftworks that preserve their value for a long time. Having one of them in your house is just like having a piece of Persian gardens full of colors, flowers, birds, animals and mystery. It will draw the attention of everyone that will enter your house. 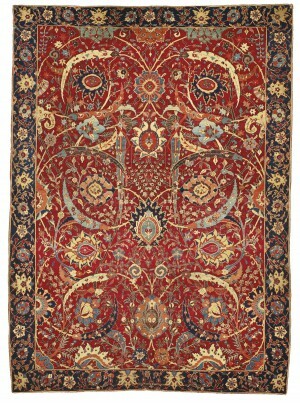 Persian carpets and rugs are recognized since centuries as world class craft. They are so rich in their elements that can blend easily in every interior decoration trend. These rugs are a combination of culture, hard work, traditions and ability from all over Iran. They look beautiful over every surface, marble, wood etc. and resist to changes time and decoration styles. Carpet weaving and rug making are traditions that date back to thousand years ago. 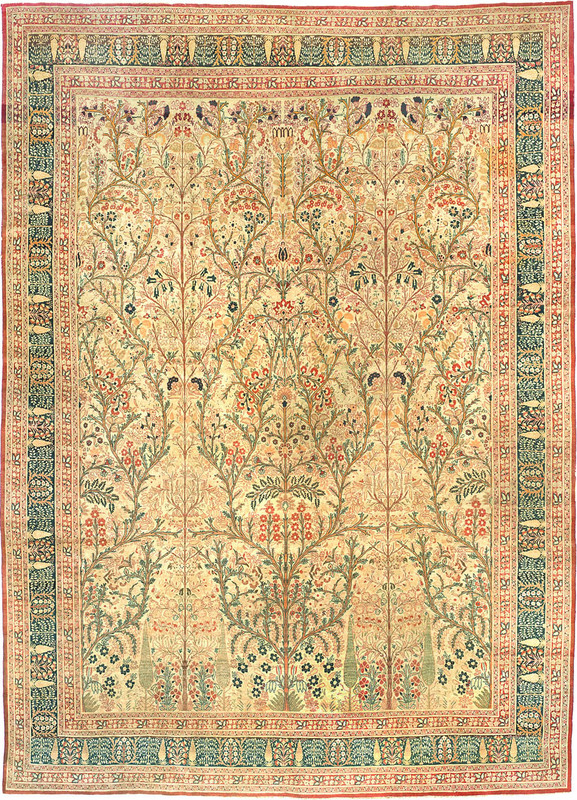 Handmade carpets are known for their quality and artistic beauty and the relation with different historical periods. This is another feature of these precious rugs. They are like history books that convey a lot of details form the time when it was weaved to the one that watches and understands. Antique carpets are precious because they have been weaved by experienced masters who aimed at achieving perfection with their art. They created some of the most famous carpets that have made it to these days. The only thing that one must keep in mind is the price of such carpets. It justifies the values, charm, originality and durability of these rugs and remember that machine-made carpets lack all these qualities. They can cost less, but they are just imitations. It is easy to know if a rug is handmade or machine weaved. The design in the back is the same as on the face of the rug. 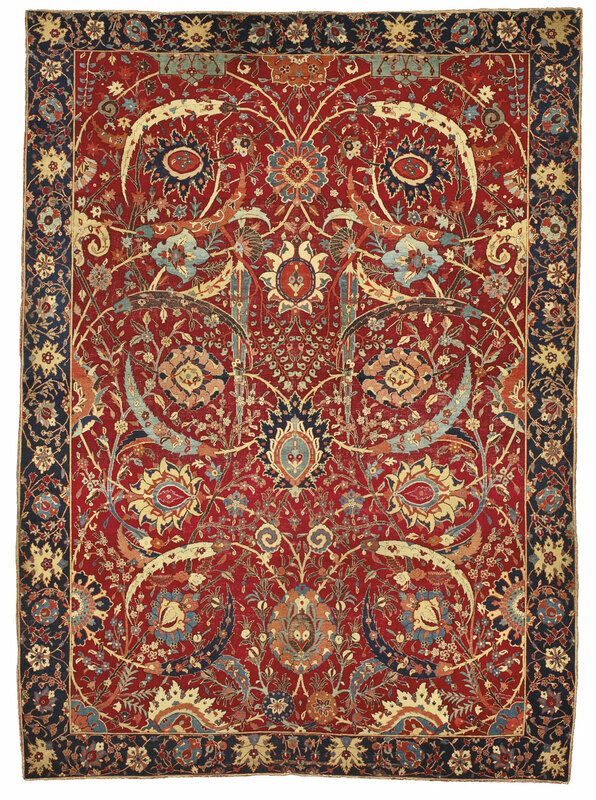 The value of Persian carpets depends on the materials used. 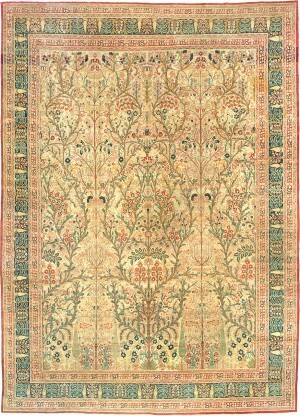 Wool, cotton, silk, animal hair, precious stones, pearls and other items can be used for making unique patterns of a carpet. Weavers are just like writers, but the difference is that they don’t need thousands of pages to tell a tantalizing story.